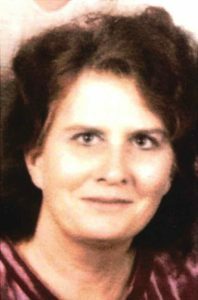 Susan Harriet Harris 70 was born on January 25, 1947 in Morris Illinois to Audrey and Garland Hedrick. Susan was married to David Allen Sr September 22, 1967. One son, David James Allen Jr. was born to this union. After Susan’s divorce from David Allen she met Leonard Harris while attending classes in Phoenix Arizona. Leonard and Susan were joined in marriage in 1973. Mary was born January 22, 1973. Together they raised Mary Lynn Harris. When Mary was 4 years old they moved to KOA Camp ground in Victorville, California and worked at George Air Force Base doing demolition and salvage. Susan was a devoted wife, mother, grandmother, and friend. Susan loved playing Bingo, riding horses and fishing. Susan also enjoyed painting and rug hook tapestry. Susan went back to school and graduated from Silver Valley Adult School with a high school diploma on May 29, 2001. Susan worked alongside Leonard on various construction jobs, everything from demolition to dry walling and cleanup. Susan also worked as a housekeeper. Susan belonged to bowling teams the Gutterball Express bowling and Four Balls on the Wall.. Susan enjoyed country music and loved to dance when painting. Susan had her comical side too…. Making people laugh with her smart saying, and comebacks. Susan passed away on Easter Sunday April 16, 2017at David’s Place in David City, Nebraska. Susan is survived by her husband, Leonard Harris, son, David Allen, and daughter, Mary Harris, grand children, Douglas Miller, Klarissa Malinay,(Gregory) Jacob Harris, (Jisela) Johnathan Harris and great grand children Jayden, Elijas, Liam, Lucas, and one on the way. Susan is also survived by sisters, sister-in-laws, brother and brother-in-laws and many nieces and nephews.